A New World Order is Here. Are Vietnamese Brands Ready? Over 200 Vietnamese business leaders are challenged to think of new ways to build business models that will enable their companies to thrive in trying times. 4 keynote speakers converging at the conference included: Mr. Lawrence Chong, CEO, Consulus; Ms. Vu Hanh Nga, General Director, New Peaks Real Estate Service Jsc; Ms. Mai Thanh Trang, President, Honeywell Vietnam; Ms. Helena Pham, Head of Vietnam, Consulus. The conference also welcomed the presence of Mr Cao Sy Kiem, Chairman of the Vietnam Small and Medium Enterprises Association and Mr Nguyen Hoai Nam, Deputy General Secretary of VASEP. 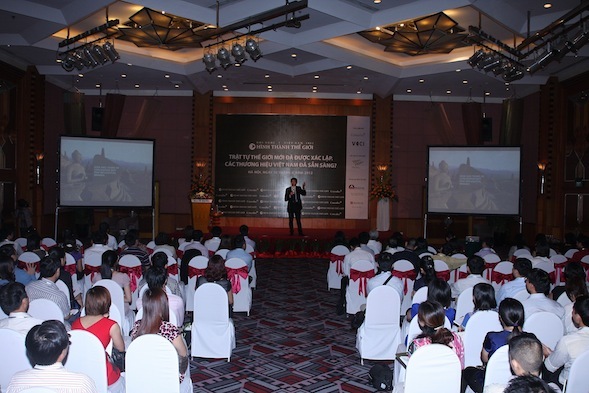 The event was co-organised by Vietnam Chamber of Commerce and Industry (VCCI) and Consulus and held at Melia Hotel on 16 August 2012.